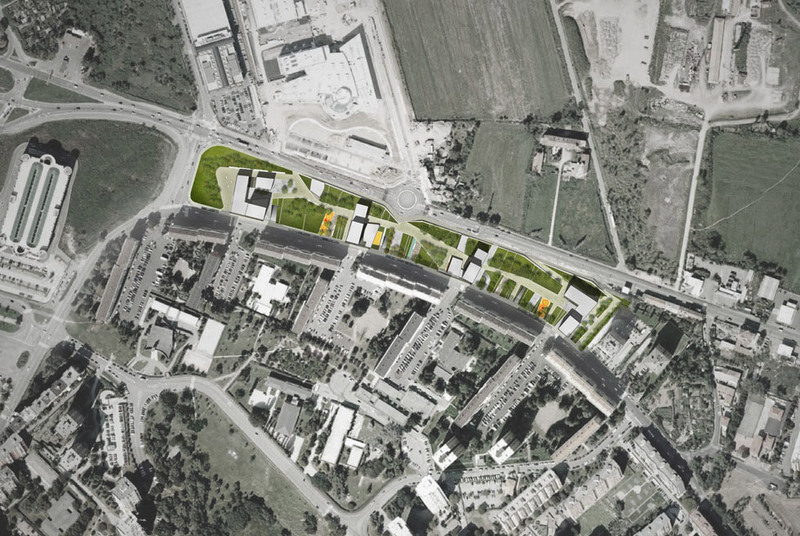 Social Housing, public facilities and park in Via Gallarate – Milan, Italy – International Competition 1st Prize. 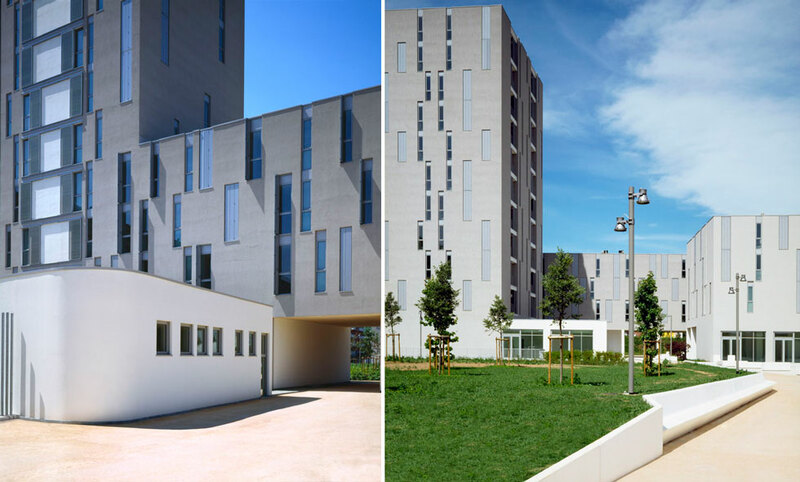 Ugo Rivolta european architecture award 2011 – Mentioned project / Premio fondazione renzo piano 2011 – finalist. Structural Engineering /Ing. Gabriele Salvatoni. The intervention is located on a long and very narrow plot. The site face the residential neighbourhood Gallaratese on the south side and new development areas on north site and is limited by a road charaterized by intense car flow. The land was free and only occupied by temporary illegal kiosks. The plot area is 36.000 sm : 3ha of park, public space and public facilities. 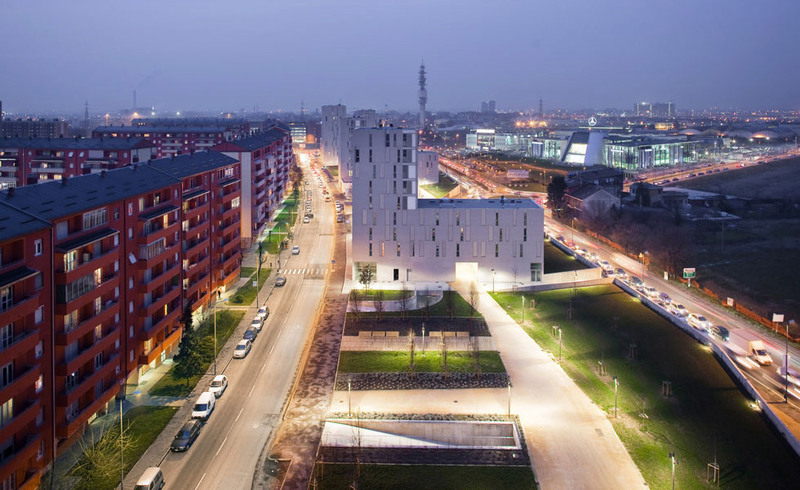 The project consist of 184 apartments of Social Housing, services and public space. 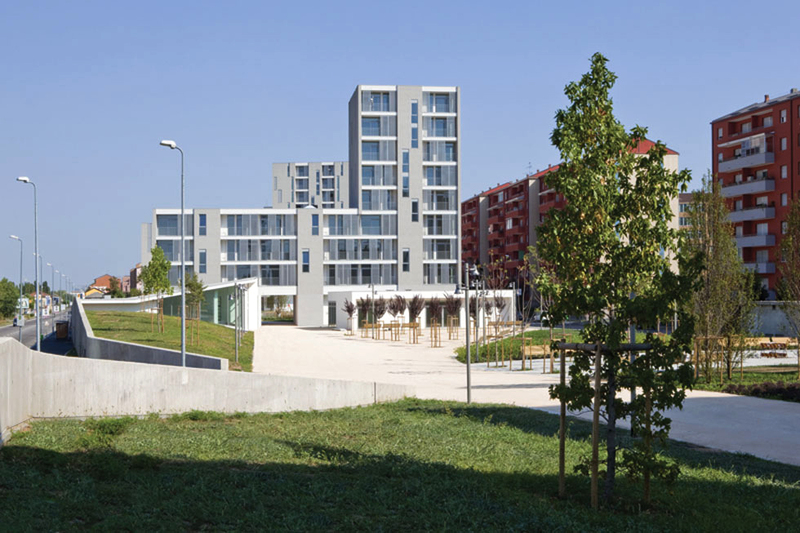 In 2005 the City of Milan launched an international design competition, “Living in Milan-New Urban Spaces for Public Housing Development”, with the goal of creating public housing developments. It offers an occasion for re-opening a full reflection on the public city in phisical and social terms. Our practice won the competition. 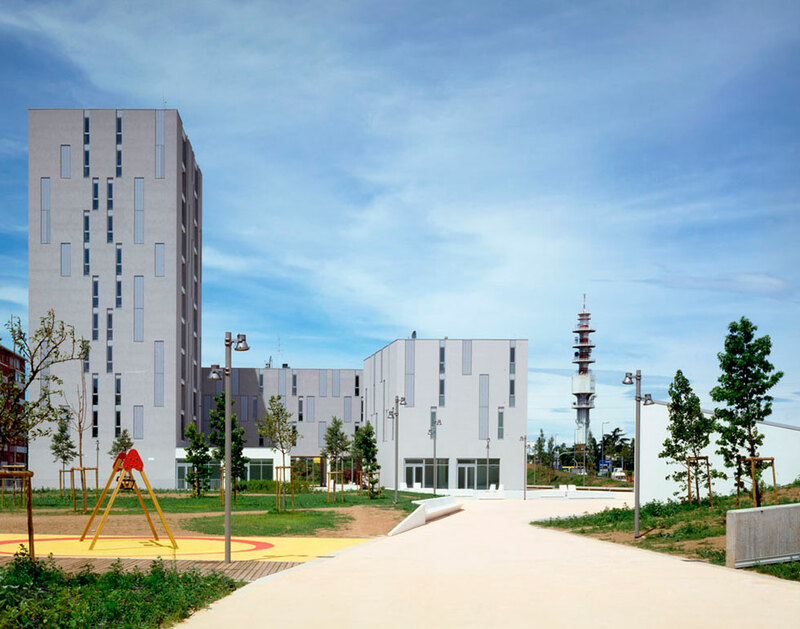 The project, focuses on one of the most relevant issues regarding the city, particulary related to social living, public dimension and community neighborhood. The main aim was to establish places of new “urbanity” in marginal areas of the city . 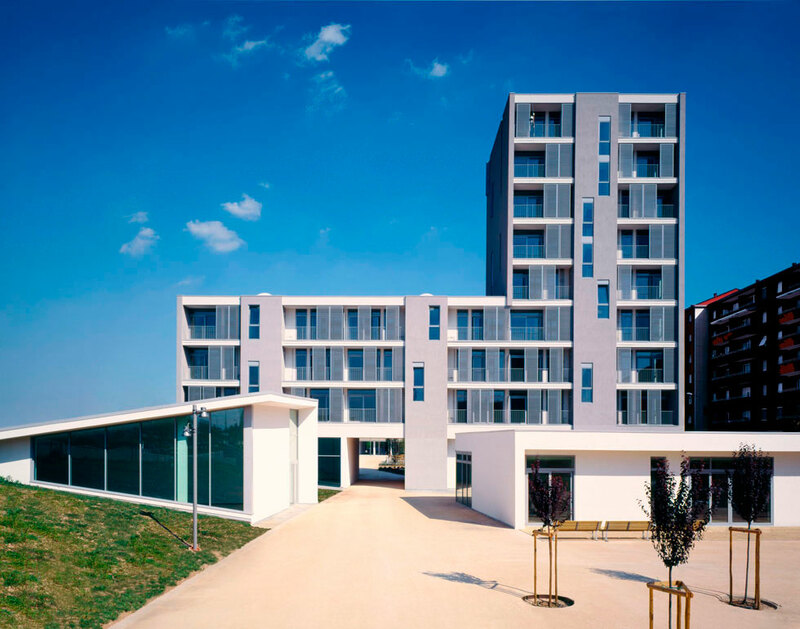 The project is based on a new concept of social housing, a co-habitation concept between Housing and Public Space, where the tenants can live in a pedestrian environment while supported by a strong infrastructure, commerce and public services.These services are open also to the community of the existing neigborhood and will work as social connectors beetween the new and old community. 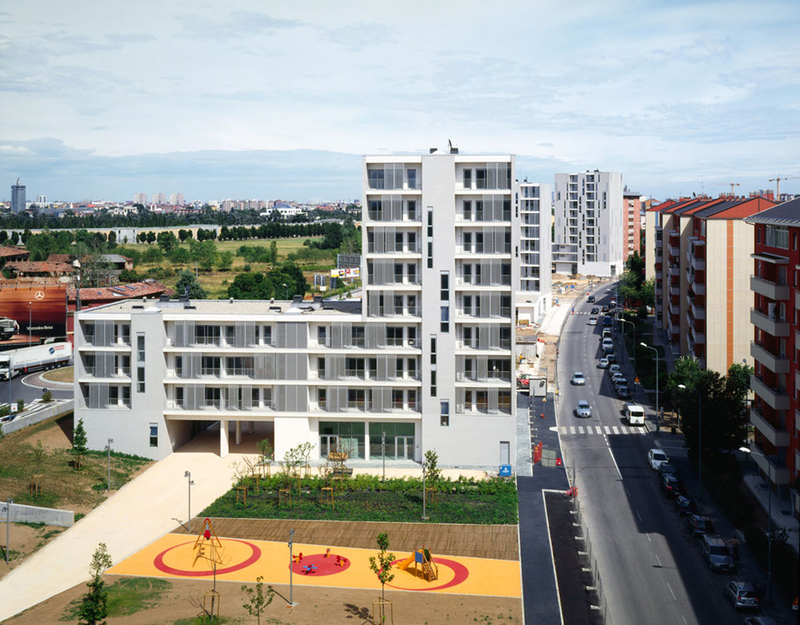 Opened in november 2009, currently live there around 60 families of the 184 that will occupy the apartments (around 500 people). It is on process the assignment of the comercial space and services: kindergarten, socio-cultural centre and day-care centre for elderly people. The park and the public spaces organized the intervention. They connect building, green area and paths in a continuous and unitary project. 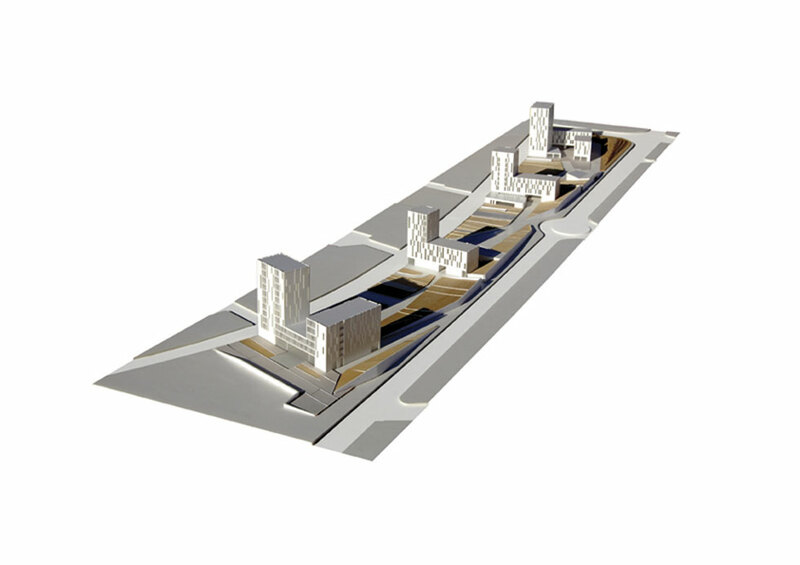 The housing blocks are aligned along the internal pedestrian path and intersect with the green slope the park becoming part of landscape. 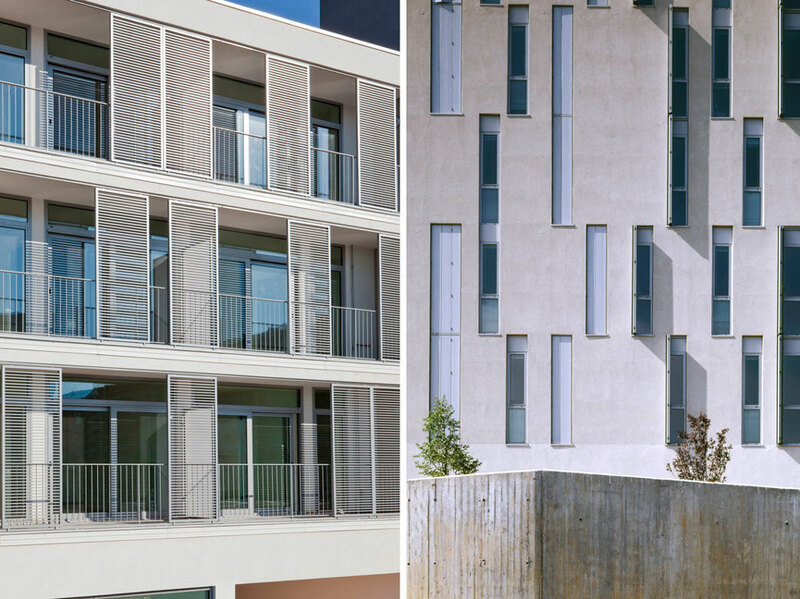 Their height vary according to the boundary conditions: low along the pedestrian walkway and up to 10 floor on the south side, facing the dense Gallaratese neighbourhood. The construction density allows an important distance between buildings, which are located in such a way as to not face onto the existing buildings on the south, on Appennini street (maximum insolation). The built volume is concentrated in only four points leaving the rest of the site area free for public use. In each point a cluster of buildings always define a sort of public plaza served by common services. The north side of the park – the green slope – is more irregular, with tall trees, while on the south side, towards the consolidated city, the park and public spaces are more urban. This is reflected in the vegetation typology, with clusters of low trees on a geometric distribution. This side of the park hosts equipped areas and playground islands. The treatment of the ground level with a variation of different materials – stone, wood, field, bushes, trees – creates a complexity of usage and views from the roof floor. 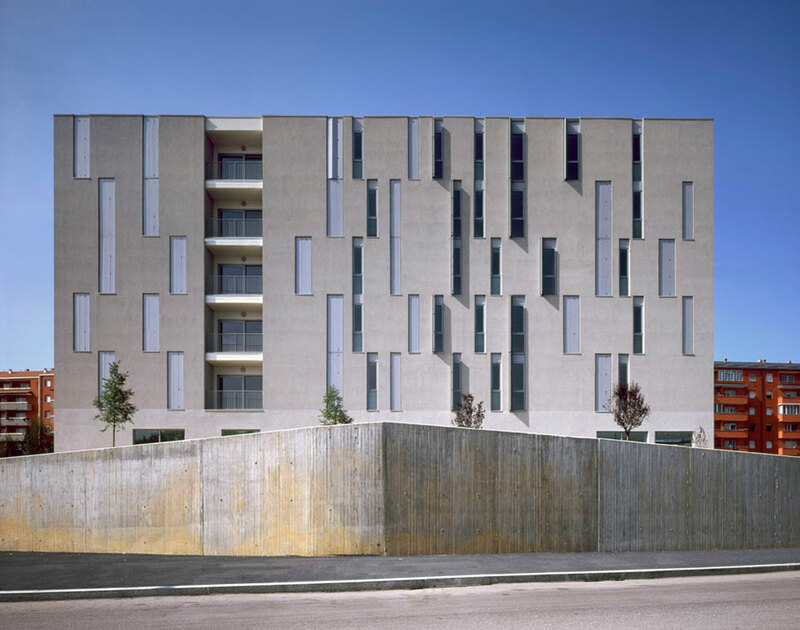 The acoustic problem and the pollution produced by the traffic of Gallarate street, is solved trough the creation of a sculptural system of wall-slope with openings and enclosures which work both as a visual connection with the rural surroundings and as a noise insulation. 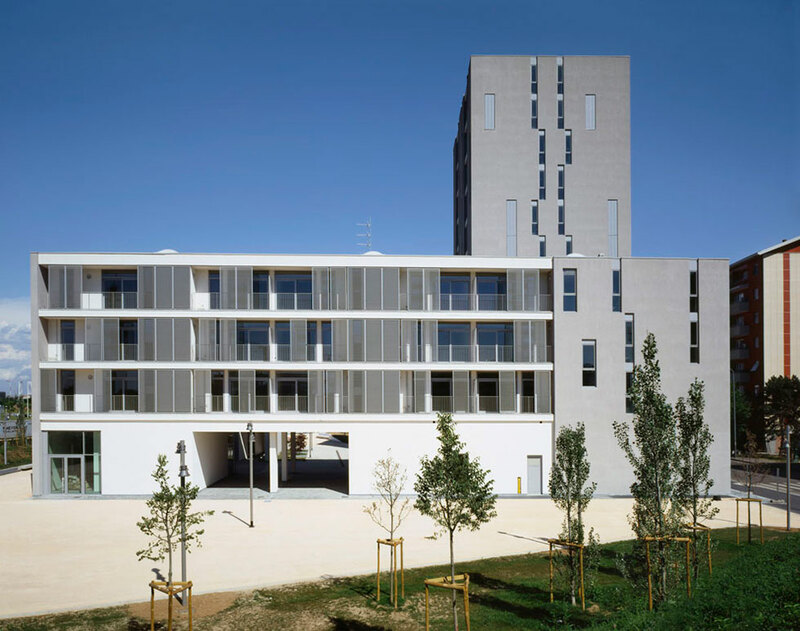 This elements host some public facilities as a center for elderly and a multipurpose space.